Terrachidia is organising a new Earth Building and Traditional Architecture Workshop in the South of Morocco, which will take place at the Oasis of M’hamid from 19-27 March 2018. This time the main fortified gate of a ksar will be restored. 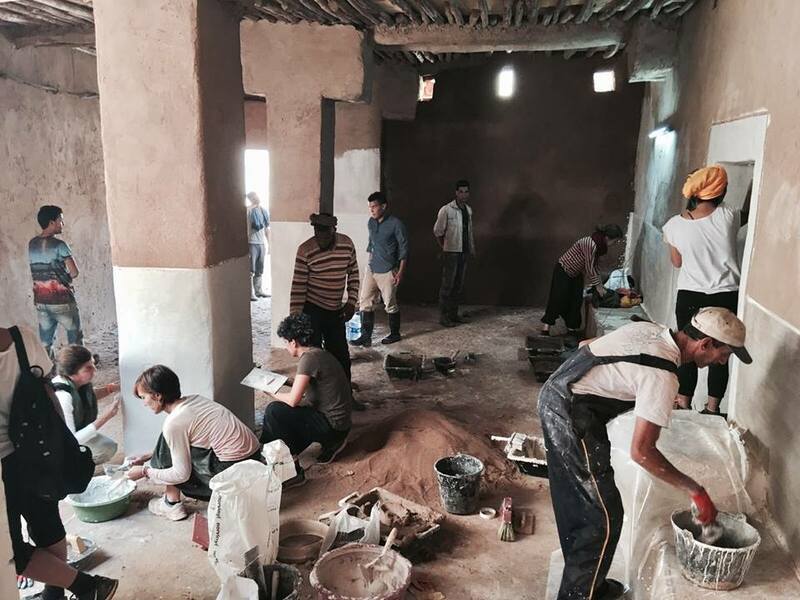 As always, participants will be able to learn the traditional building techniques of Southern Morocco directly from local masters and put these techniques into practice in the restoration of the architecture of this oasis, all contributing to the sustainable development of the region. At the same time, they will work in researching, recording, documentation and promoting this heritage and local architecture. 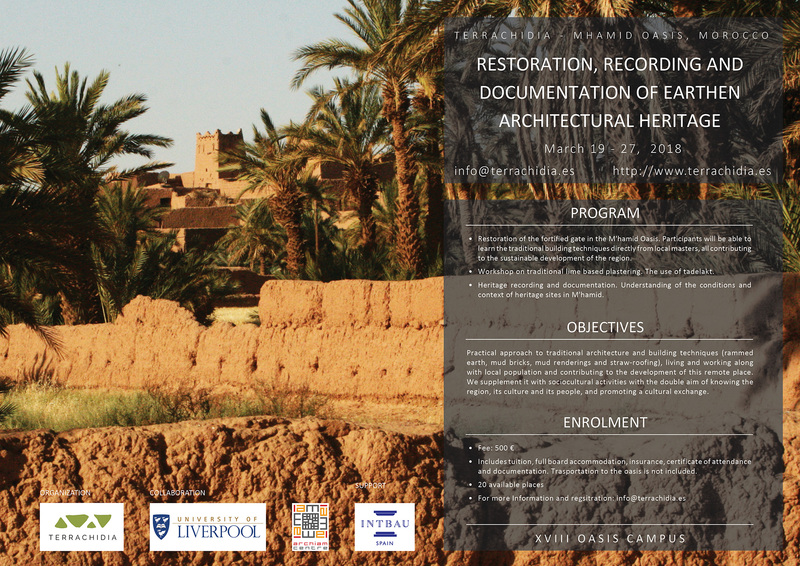 It will take place thanks to the collaboration of the Centre for the Study of Architecture and Cultural Heritage of India, Arabia and the Maghreb (ArCHIAM), based at the Univeristy of Liverpool School of Architecture, UK, which aims to provide an interdisciplinary research platform for historical and contemporary cultural developments (study and documentation of heritage sites) across three interconnected global regions.